The 2012 winners and longlist for the SI Leeds Literary Prize offered some real gems. 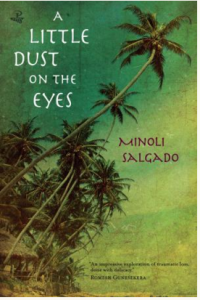 The 2012 SI Leeds Literary Prize was awarded to Minoli Salgado for A Little Dust on the Eyes. Read an extract of Minoli’s winning entry here. Second place went to Karen Onojaife for Borrowed Light and third place was shared between Emily Midorikawa for A Tiny Speck of Black and then Nothing and Jane Steele for Storybank: The Milkfarm Years. Karen Onojaife also won the SI Readers’ Choice award for Borrowed Light, and a fabulous original artwork by our patron Bidisha.